Luke is one of our favorite guests. His honesty about facing addiction and swimming through recovery makes it hard to end any conversation with him. Join Luke and our host Kristin Walker as they keep it real about mental health, Karma, self-care, and more on this incredible show! 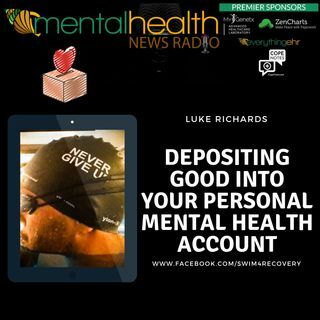 Luke Richards is a recovered addict and a survivor of suicide. Over 4 years ago his life was on a singular trajectory - caught in the cycle of addiction with no hope of recovery. With the help of lots of people he did ... See More recover, and have been blessed with an amazing life. He believes that society writes addicts off as "lost causes" and today is trying to change perceptions about addicts through sharing his journey and his latest project a 2019 English channel swim.